The Children’s day (or Children’s rights day) is celebrated every 20th of November ; This day marks the anniversary of the International convention for Children’s rights of November 20th 1989. 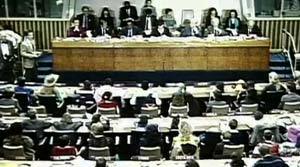 If the UN « suggests to governments of each states to observe children’s Day on the day and in the way that best suit them », events of 1959 and 1989 designate inevitably the 20th November. In fact, on November 20th 1959, the UN adopted the Children’s rights declaration, and on November 20th 1989, almost all of the states taking part in the UN ratified the International Convention for Children’s rights.To this day, only the United-States and Somalia have not ratified this convention. What is the « correct » name for this day ? According to Resolution 836 (IX) of December 1954 of the United Nations, the original appellation for this day is « Children’s Day ». However, throughout the historic events taking place in 1959 and 1989, this Children’s Day is also known as Children’s Rights day or the International Children’s Rights day. The establishment of a Children’s day by the UN aims at attracting the attention on an important issue: Children’s well-being throughout the world. The United Nations have considered that they “ would not be able to fulfill their obligations regarding the future generations without intensifying their efforts in favour of Children in the world, who are future citizens, and that a worldwide celebration of this Children’s day would contribute to human solidarity and to international cooperation » (1). Each year, November 20th reminds us that « humanity must give children the best it can provide » (2). This day reminds us of the necessity of acting in favour of the well-being of children in the whole wide world.